WHATS NEW WITH THE FAY? WHO ARE THOSE FAY RAYS? 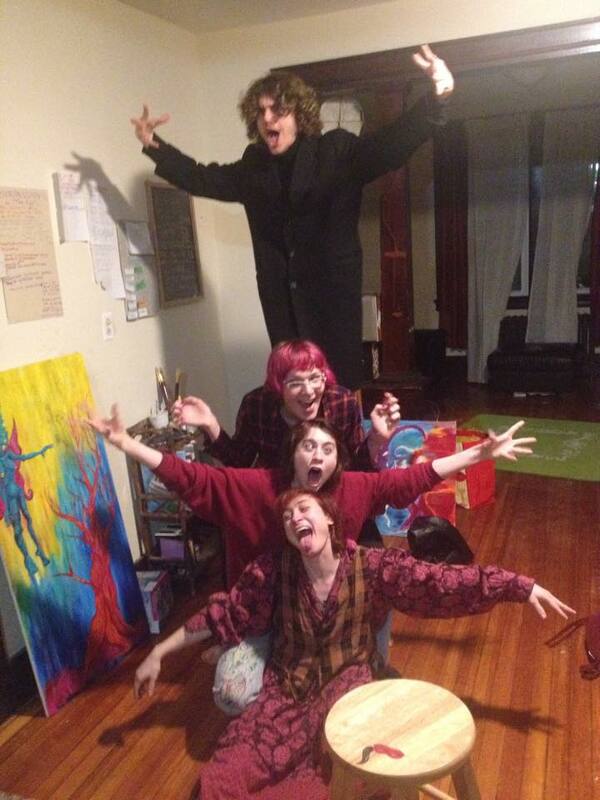 The Staten Island Fay/Fae/Fey/whatever spelling of that word you cant think of is a very new Intentional Community. We live in a three story house located in Tompkinsville Staten Island. The Fay has many potential plans and goals. Start a garden in our yard, Run our own food compost system, Share resources i.e: food, shampoo, etc, Make collaborative art/music/theatre, Bring social groups together within the house and in the greater community of Staten Island and New York, Help neighbors start gardens, Neutralize soil in areas that are infected with lead, Start a worker-owned business, Host workshops on community and/or the arts, Make Youtube videos together, Have transparency groups, Work on Non-Violent Communication, Create a safe-space, Waste less, participate in activist work. The Fay is currently looking for a new housemate! Or two (If you’re a couple or are just two awesome people looking to share a room)We actually need to fill a room by March 1st! We’re looking for someone interested in any or all of these things: community, creativity, gardening, non-violence, resource sharing, social/environmental/political activism. Someone who is interested in helping this community truly find its vision. We are really in our early stages and we really have a lot to work with!